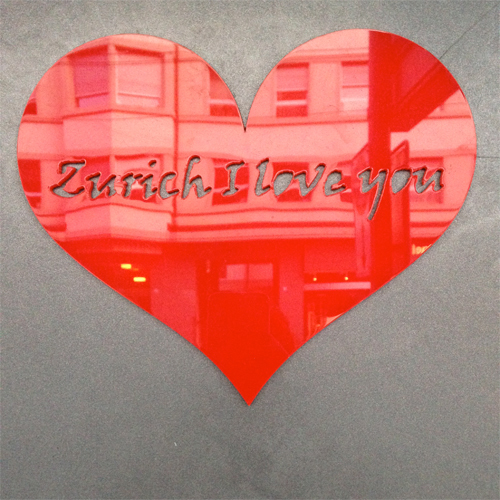 Yes, Zurich, we love you! We love living here and blogging about all the exciting things that happen in the city. We especially like the little surprises and unusual things that can happen anytime and at any corner – like finding this heart on an otherwise boring wall. What do you like about Zurich? Let us know! Help! How can I escape the World Cup mania? Choose the longest movie, Zurichs cinemas have to offer – in the dark halls of the cinema you will be saved from the soccer fans. More about Zurichs movie culture here. In good weather, spend the evening at Badi Wollishofen or Mythenquai, they are tv free. Or hide at a museum, most of them are open until 8 pm on some nights of the week. Invest in good ear plugs, get a good night’s sleep, rise early the following day and explore the city and its surroundings. Browse our tips here. I am looking for an urban oasis – where to go? 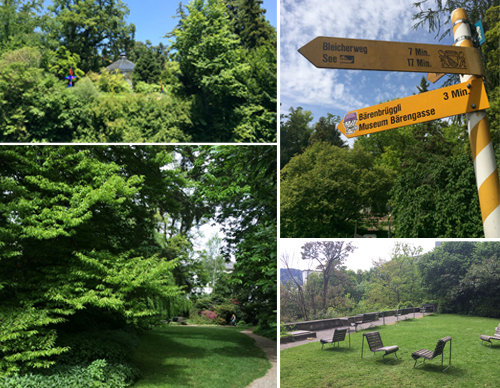 The old botanical garden is perfectly situated on a hill in the city of Zurich. It used to be a bulwark against enemies and was in use as a botanical garden until the 197o’s. In 1976 the new botanical garden opened it’s doors and is still in use today. The old garden remained a perfect green little hideaway. We like to read a book there and it’s also a good place to bring a date. 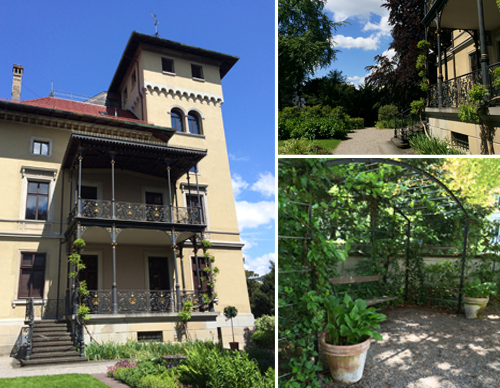 The Villa Tobler in the old town has a beautiful garden to enjoy a few calm moments from the busy city life. The entrance to the garden is not easy to find and the villa is in the calmer part of the old twon, so it usually is not very crowded. 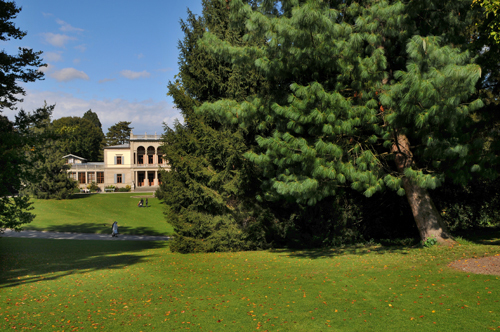 A great view over city and lake offers the park of the Museum Rietberg. You won’t find the big crowds there, so it’s much more relaxing than the nearby places by the lake. Most people “just” visit the museum – which is also well worth a visit. 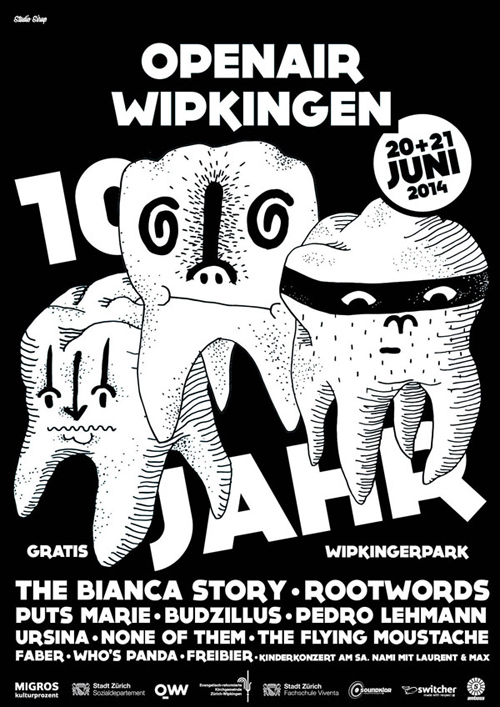 The open air Wipkingen celebrates it’s thenth birthday this year – all local hipsters and familys, night owls and music admirers have to be there on Saturday and Sunday. To listen to great local bands, dip their feet into the refreshing Limmat, drink a beer and enjoy the summer air. And the best is: free entry. Another option is the Hinterhoffest at Kreis 5 on Saturday. The shops Lili Tulipan, konrad, Tarzan, Beige and Swallow-d invite you to shop their products or stroll through the flea market in the lovely backyard between Josef- and Konradstrasse. Where can I watch the World Cup Games? In a few hours, the 2014 World Cup Games will start and also in Zurich soccer will be topic number one. myfriendfromzurich suggests you gather your friends in front of your tv and cook typical dishes from the nations that are competing – or if you’re to lazy to cook, at least get the according beers. Piccolo Giardino: The cozy bar in the turn of Schöneggstrasse is always a good address for soccer lovers. Zum Glatten Köbi: The Köbi crew conquered the halls of club Supermarket for the whole month. And there will be more than just soccer: music, dance and art too. PS – did you know, that the name honors the famous Swiss soccer trainer Köbi Kuhn? Morgarten Bar: It won’t matter if your team is loosing or the game just isn’t that exciting – after all you’re sitting in one of Zurichs newest hip bars at one of the citys most beautiful squares.